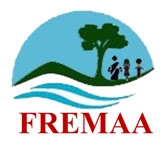 Application are invited from eligible Indian citizens for engagement on contractual basis for the following post in Flood and River Erosion Management Agency of Assam (FREMAA) as may be seen below. The detailed advertisement may be download from www.fremaassam.gov.in. Remuneration: Rs. 20,000/- per month TA/DA and other allowances admissible as per FREMAA norms. Age: Above 21 years as on 01.01.2017. Last Date: 21 April 2017. The detailed advertisement may be download from www.fremaassam.gov.in.